GITEX, one of the largest IT exhibitions in the world, played a significant role in 2016 than ever before. It defined the latest technology trends, presented high caliber speakers, showcased product innovations & brought together ambitious tech startups from across the world. What’s so noteworthy about this year? It’s the one and only Internet of Things (IoT) which is at the heart of revolutionary transformation. Many enterprises strongly believe that IoT will transform their business practices, knowing that, in time, IoT will touch nearly every aspect of their operations and customer engagement. Leading companies are already investing in IoT, realizing returns in terms of increased asset uptime, efficient predictive maintenance, reduced cost of operations, manpower & maintenance, and increased return on innovation. 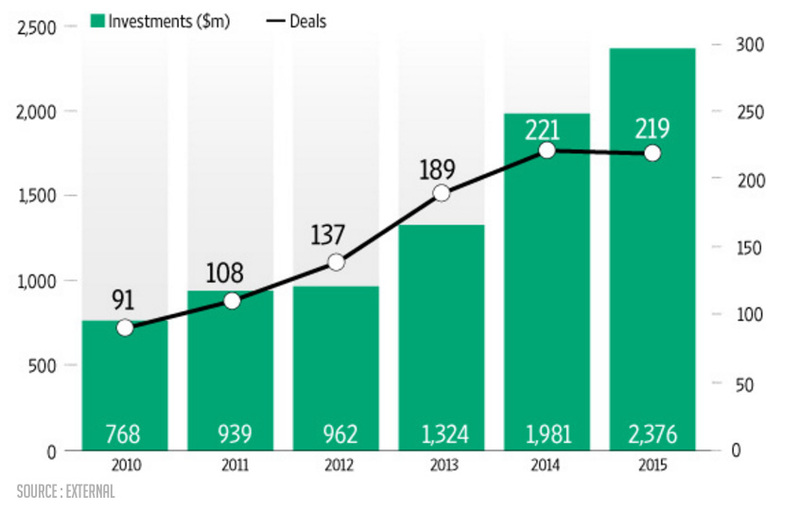 Below is a statistical graph from a reliable source, showing IoT global financing history YoY. IoT has successfully infused interest in every nook & corner of the world. A survey done by GITEX released a report well before the show commenced. It clearly portrayed the fact that IoT was the top most interest of the year, holding a mammoth 15% compared to other technologies. These aspects kindled ample interest in WebNMS as well. With enormous hope and excitement we decided to exhibit in the show. 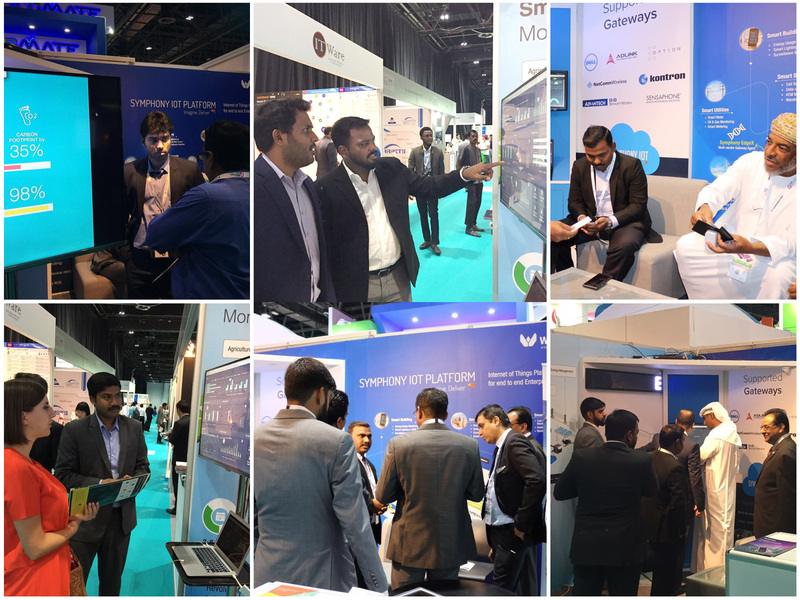 Being the top provider of end-end enterprise IoT platform & solutions, WebNMS believed that GITEX could be the right place to showcase our IoT capabilities. As exhibitors, we equipped ourselves with series of expert presentations and Symphony IoT software demonstrations with an interactive smart booth concept. With a strong anticipation and vigour to enable smart transformation to enterprises, we started our show on Oct 16 – 2016 at Hall 7 B7-37, Dubai world trade centre. As we rightly expected, in next few minutes, our booth was all flooded with prospects focusing on enterprise IoT deployments. It was evident without a doubt that business and consumer demand exists and will continue to expend for IoT solutions. Many regions, especially UAE seemed to be keen about smart & connected infrastructure including building, utility bodies, transportation etc. The momentum in this region was driven by several factors. Enhanced connectivity infrastructure: With the recent wave of network enhancements, connectivity is becoming increasingly ubiquitous — whether using personal area networks, local area networks such as WiFi, or wide area networks such as cellular or even satellite connectivity. The ability to connect anything, anywhere anytime is helping make IoT a reality. Connected culture: Globally, individuals are developing a high affinity for full-time connectivity, which makes consumer IoT a compelling proposition. WebNMS was optimistic about showcasing the right platform on the right time in the market. We presented our prospects with real-time experience of IoT via an interactive smart booth and elucidated the business impact they derive and benefits they can provide their customers through IoT. We helped them realize that Symphony IoT is the only edge-to-cloud & device-agnostic platform which enables enterprises like them to quickly build & deploy IoT applications with ease. They also strongly believed that, be it point solutions or tailor-made custom use cases, or integrating legacy systems & applications, Symphony IoT does it all. With an overwhelming response, all five days in the show were eventful with loads of IoT requirements and potential prospects. We foresee an amplified interest for IoT in the forthcoming years with huge expectations. See you again next year in Gitex.